You guys I cannot tell you how obsessed I am with Marloe! Like, I constantly just wanna squeeze her! She is the sweetest little thing, and my bestie! I honestly don't know if there will be another photo shoot ever again without her in it! Anyway, the other day we took a stroll downtown & hung out by a little street called Edith Avenue! This street has lots of cool old buildings, and most of them are turned into hospitals and doctors offices! It's been really hot here in Albuquerque, and most of the day I prefer wearing shorts and a tee. But when I want to dress up a little bit more, I always go for a flowy maxi skirt like this one from Forever 21! It is so comfortable, and it's loose material makes it very breathable in the hot ABQ sun! 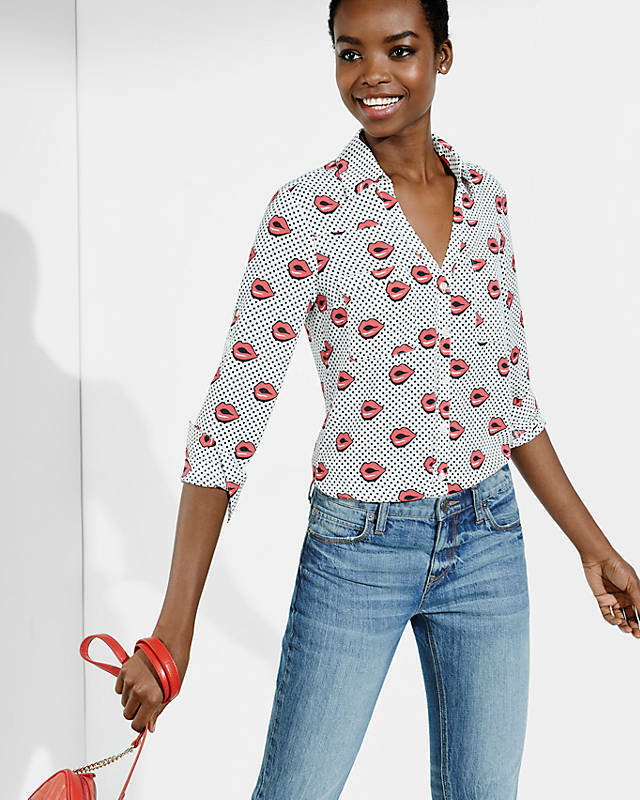 I love pairing bright pieces together, so I threw on this Express button up! Express has some awesome dressy button up blouses, that can easily be worn casual as well! I love this one here currently! So cute! Also, these Birkenstocks from shoes.com have quickly become my "go-to" Summer sandal! They're outrageously comfy, and go with practically everything!!! !